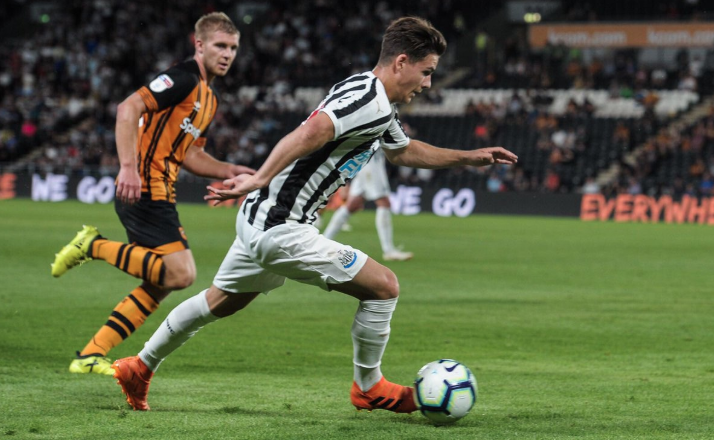 Barcelona-born winger closing in on NUFC return – A big talent but I almost forgot he existed.. – NUFC blog – Newcastle United blog – NUFC Fixtures, News and Forum. After shining in our U-23 set up and being included in Rafa Benitez’s pre-season plans over the last two seasons, it’s far to say Victor Fernandez is one of our most exciting young talents. That said, the 20-year-old winger has had torrid time with injuries over the past 6 months – with him making just one U-23 appearance since the summer, playing 45 minutes during a 1-1 draw with West Brom back in August. The Chronicle revealed late last year that it was hoped he’d be back around October time, but he suffered a setback and was operated on at the end of November – however he’s now been pictured running again, suggesting he is now closing in on a return. I’ve always enjoyed going to U-23 games as and when I can and whenever I made it I was often impressed by Fernandez. He was direct, had impressive ball control, incredibly quick and elusive. It’s early days, but you could see why he was one of the first players Rafa brought in from Spain in an attempt to revamp our previously struggling U-23 set up. Hopefully he can return to the fold soon enough and continue progressing after what must’ve been a painful few months for him – with the likes of Longstaff, Roberts and Sorensen making big strides just as he’s been forced to sit on the sidelines.